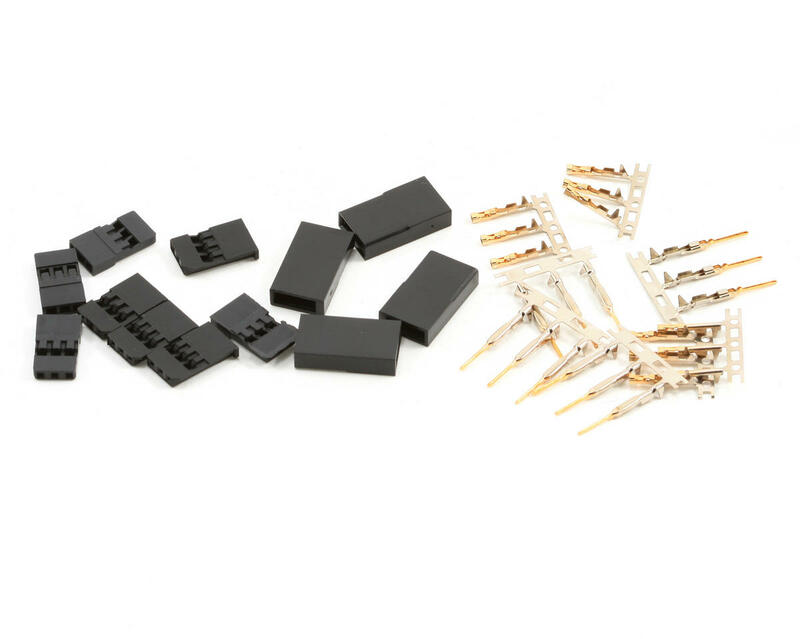 Nice connector set, especially for the price! The pins/sockets fit the housings fine, but will require well made crimpers to get the proper wire and insulation crimps. If the crimps are not correct, the pins/sockets will not fit into the housings. I used these to shorten a steering servo and to make a custom length servo wire extension. Both have worked flawless to date. 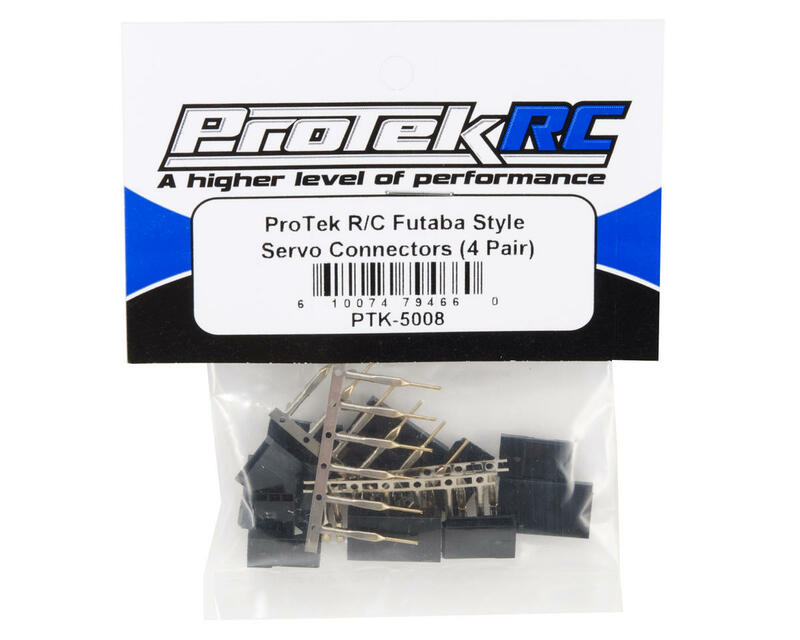 These are perfect for combining the superior power and speed of JR servos with the fantastic Futaba radios. I remove the JR style plug on my JR servos, replace them with these, and they plug right into the Futaba RX's. Also great for RX Batteries. I ordered these awhile back and tossed em' in my toolbox. I thought nothing of it when I purchased them, as they seemed like a great solution for servo's and battery packs. However, I just got around to using these and have found them to be way too challenging. The metal pins don't fit or lock, into the plastic connector housings. Also, even if you do managed to assemble them, the tips of the wires that lead into the housings are left somewhat exposed. This leaves me to believe that the failure rate is through the roof, as you run the risk of shorting your gear or wrecking your craft when this comes apart or goes haywire. The upside to this, is that I found an online vendor that sells pre-assembled battery and servo wires & connectors. Essentially, they offer universal battery and servo connectors that are pre-assembled & wired. All you have to do is solder the pigtails for batteries or "tri-tails" for servos to the battery pack or servo of your choice. They offer the wire in 20, 22 & 24 awg. I went with 20 awg b/c it's the thickest wire for this application offered and b/c that's what the manufacturer of the battery packs that I have used. I would post the name of the company, but I don't think that Amainhobbies would appreciate it or allow it. Google and maybe you can find them. Note: The wires come in a variety of lengths and they'll tin the ends if you opt for it. Standard shipping is free. You can't beat it !! !